South star Dhanush also took to Twitter to praise the film. 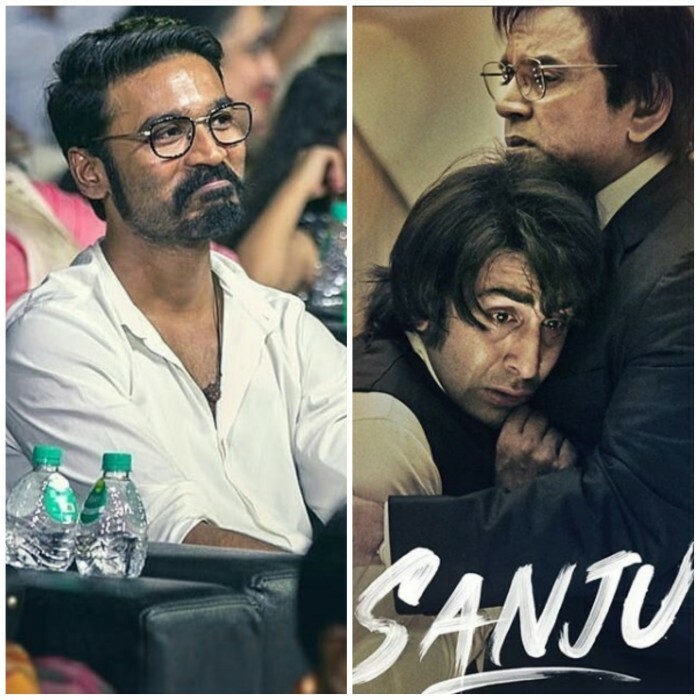 Dhanush laughed and cried while watching Sanju. The biopic, ‘Sanju’ on Bollywood actor Sanjay Dutt has released today worldwide on over 4000 screens. The film that is helmed by Rajkumar Hirani is based on the life of Sanjay Dutt played by Ranbir Kapoor in the film. The film is receiving huge response all over and is expected to set an opening day record of the year. The movie also starring Sonam Kapoor, Dia Mirza, Paresh Rawal, Vicky Kaushal, Anushka Sharma and others, is receiving a positive response. South star Dhanush also took to Twitter to praise the film. Dhanush laughed and cried while watching Sanju. The actor also praised director Rajkumar Hirani for such a brilliant work. Dhanush also produced Rajinikanth starrer Kaala, which received an immense response from the audience across the globe. The film even went on to earn huge at the Box Office. I pooped & pee in the interval PV please share.